As first reported here in December of 2007, James Purefoy is finally at last all set to play the new Simon Templar in the forthcoming TV series of The Saint. We may have jumped the gun a bit back in 2007, but we weren't wrong -- just early! James Purefoy has written an introduction to Ian Dickerson's The Saint on TV, in which he talks about his forthcoming role as Simon Templar. Shooting is reported to be slated to start in July 2011 in New Orleans. The newest version of The Saint is being produced by Cajun Pictures who've acquired a pilot script written by William J. MacDonald and Burl Barer. 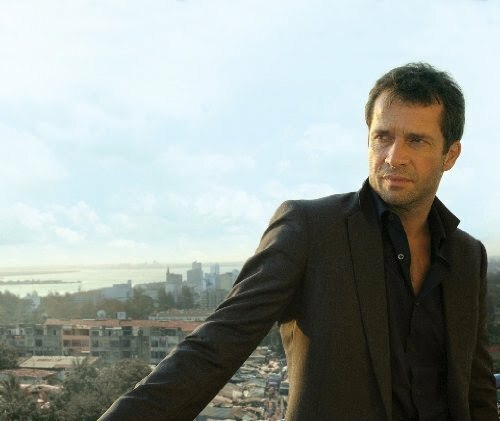 In December 2007, James Purefoy was first rumored to have been cast in the role of Simon Templar alias The Saint, and that was put on-hold due to production issues and his role in The Philanthropist. In 2011, it appears that Purefoy is coming back to the role of The Saint!